Exterior noise can be a major distraction that can prevent property owners from enjoying peace and quiet within their homes. Noise from rain, hail, vehicles, construction work, music from a neighbour's home, and aircraft flying overhead can penetrate through the roof into the interior of a house. Thankfully, there is a way to add soundproofing to roofing to reduce outside noise from reaching the interior of your home. Not all roofing materials offer the same benefits, for example, metal roofing does not provide enough sounding proofing qualities as people need, especially in areas where there is a lot of outside noise. If you want to limit annoying outside noise from reaching the interior of your home, then you need Boral ceramic, terracotta or concrete roof tiles. In fact, in areas where high noise levels are persistent, such as along busy roads or under flight paths, the best types of roofing to use that can effectively limit exterior noise are ceramic, terracotta or concrete roof tiles. 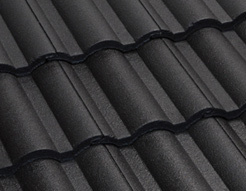 Builders and contractors are aware about the soundproofing quality that Boral roofing tiles have and will recommend their use whenever possible, especially in areas where high noise levels are persistent. 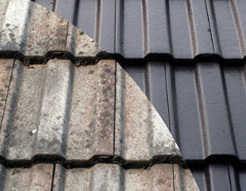 The Roof Tile Association of Australia acknowledges that the type of roof material is a crucial factor in reducing and limiting the amount of exterior noise admission into buildings. It is proven that tiled roofs offer superior acoustic performance than metal roofing, mainly due to increased thickness of the material. If your home is located in a high noise area, and you want to reduce exterior noise by up to 30 decibels, then it is recommended to install ceramic, terracotta or concrete roof tiles. Even the best steel sheet roofing can’t compare because it can only reduce outside noise by 12 decibels. Another factor to consider when it comes to limiting noise is the air space above the ceiling and the amount of insulation present. In this regard, metal roofing is at a disadvantage. Boral roof tiles are available in concrete, terracotta and ceramic, and they come in various colours and profiles. 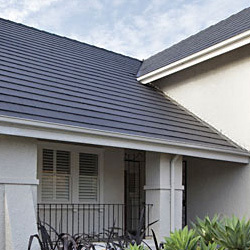 If you are seeking a solution to limit unwanted exterior noises, then look no farther than Boral roof tiles. Boral roofing tiles are not only an acoustic solution, but they are also aesthetically superior to other types of roofing materials and are nearly maintenance free. They also come with an incredible warranty.